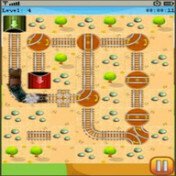 The app “Rail Maze” (635 KB) is ready to download or send to your phone as filename:”railmaze”. There’s no Download link, where can I find it? Look harder, the download links are on this page just above the Facebook, Twitter and Google+ Share icons.